Do you feel like crap and have low energy? Do you experience gas, bloat and other digestive problems? Are you more forgetful lately? Do you have skin problems you didn't have before? The Core Restore program is a science-based, seven-day program that will reset our bodies’ detoxification system and get your health back on track. 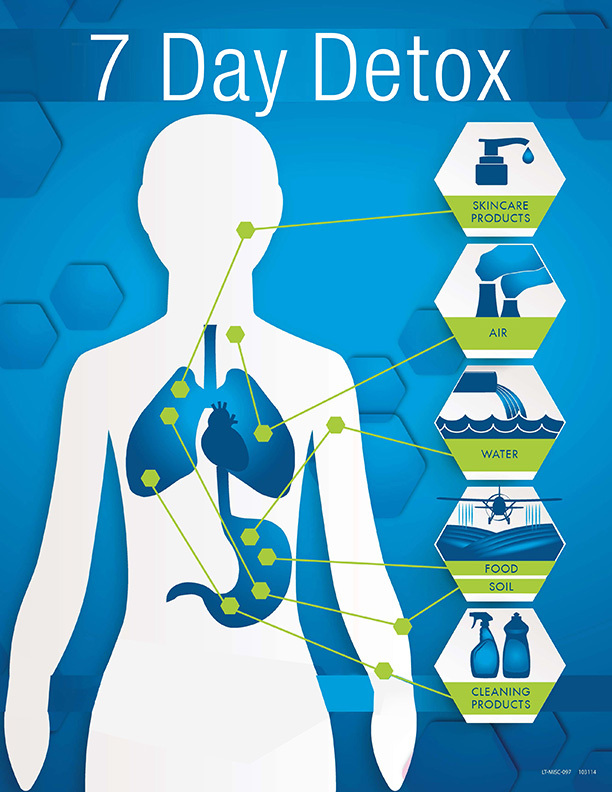 The human body is equipped with an efficient detoxification system, but it can become bogged down with toxin overload. Like a car needs an oil change periodically, our bodies need an occasional tune-up. Not only will our detoxification systems “run” better, but you’ll feel more energized, too. The program may be only 7 days but you won't be on your own. I’ll be communicating with you each day of the program via email or message using my HEALTHIE virtual platform. I’ll share tips, recipes and encouragement throughout the week! The Clean 14 Program is an easy-to-follow, two-week, clean eating plan designed to help you modify your food choices to cultivate healthy eating patterns. The Clean 14 program is built upon the foundation of the Mediterranean diet, but also eliminates foods that commonly trigger adverse reactions in the body. After just a few weeks, many people experience weight loss, reduced cravings and increased energy as they work toward establishing healthier dietary habits. You will experience the benefits of clean eating and establish new dietary patterns that can be maintained for life. For some people the above pre-structured weight loss packages may not be what they are looking for. You may want more individual attention with a weight loss plan individually developed for you. In that case, individual counseling sessions may be perfect for you. The initial session 1 hour may be in-person but on-going 30 minute follow up sessions can continue through the more convenient on-phone or on-line sessions. - An evaluation of current lifestyle, eating habits, and clarification of your health goals. Together we will develop a personalized, step-by-step program to help you achieve long term success. Change your habits for 6 weeks. you could change your life! Research has shown the power of groups when it comes to motivation and accountability. The Whole Life Challenge does exactly that – The concept is simple. Each day during the 6-week Challenge, you and your teammates get points for completing each of the 7 Daily Habits. Each habit is worth 5 points per day upon completion. Scores are recorded on the WLC website, the iOS App, or the Android app, keeping players on track and accountable for their results. The Whole Life Challenge is a six-week, online, health and fitness building, and habit-changing accountability game that challenges players to create happier, healthier lives by making small changes to their daily habits.